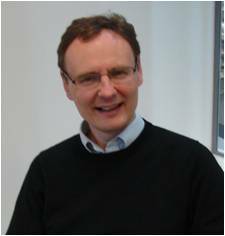 Peter Gardner is a Professor of Analytical and Biomedical Spectroscopy and a fellow of the Royal Society of Chemistry. He obtained a Ph.D. in surface vibrational spectroscopy in 1988 from the University of East Anglia. This was followed by postdoctoral appointments at the Fritz Haber Institute (MPG) in Berlin and Chemistry Department at the University of Cambridge where he was involved in the development of surface infrared spectroscopic methods. In 1994 he was appointed as a Lecturer in Chemistry Department at UMIST and he was promoted to a Senior Lecturer in 2000 and a Reader in 2010. In 2004, with the formation of the University of Manchester he joined the School of Chemical Engineering and Analytical Science. Since 2000 he has built a successful biomedical spectroscopy group which has focussed on using vibrational spectroscopy in the diagnosis of prostate and other cancers. His group also have a keen interest in understanding the fundamental caused of spectroscopic discrimination and separating biochemical and physical spectral influences.